Additional Information: Pendant is .925 silver. Disc approx 1" height oval. 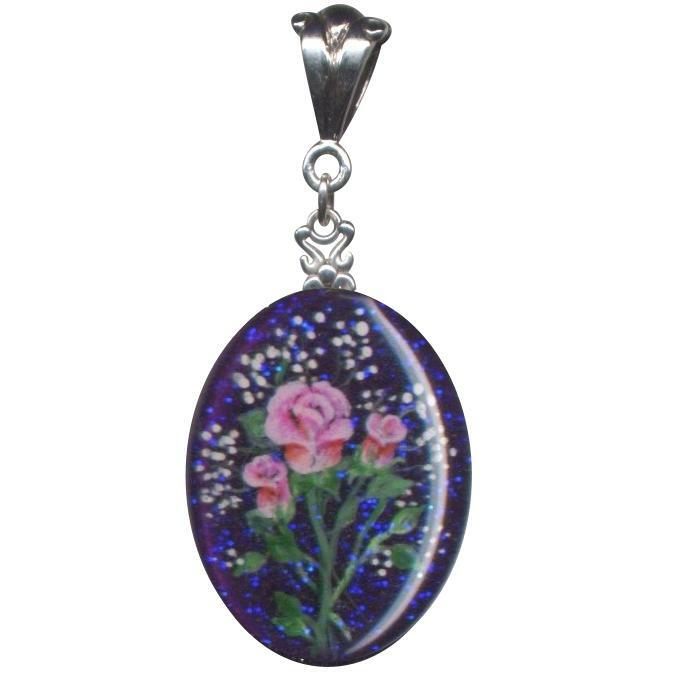 Click on the "Zoom Available" link for a close up view of Pink Roses on Purple!